Just finished the first week of my new job. It's strange, working in an office. It's so quiet. I kind of miss the friendly cacophony of the bakery. I also have my own office, with a door and everything, so people in the cubicles would have to go out of there way to chat with me. It's just different. When I get home, I'm tired bone tired and feeling the need to drop into bed like I was before, but the last rays of the sun are disappearing and I feel sad that I didn't get to see any light. It's a give and take, I suppose. The good news is I'm feeling the urge to bake again already. It's a good way to ingratiate myself with my new co-workers, if nothing else. I made scones today, which has become second nature after doing it for so long. It's a great experience when you can just look at and feel a dough and know if it's right, or what else it needs. 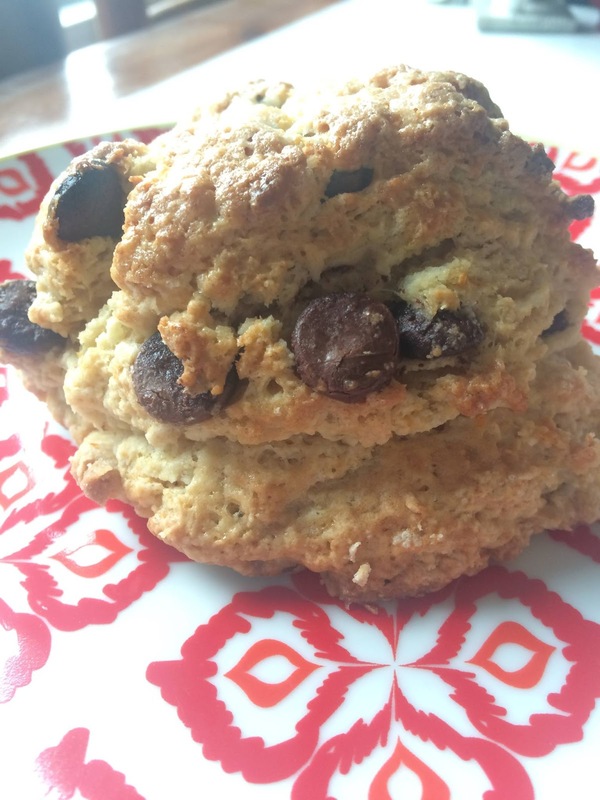 I don't want to brag, but I make a pretty killer scone. You can ask around if you don't believe me. These are flavored with chocolate and orange zest, a classic combination. I'm not going to post the recipe unless I get express permission from my former boss, but if I do, it'll be up here. I just wanted to share a little slice of life with you. Molten Chocolate Cake for one!